Rymes, Thomas K. (1999). Effects of Monetary Policy on Productivity in Canada (No. CEP 99-09). 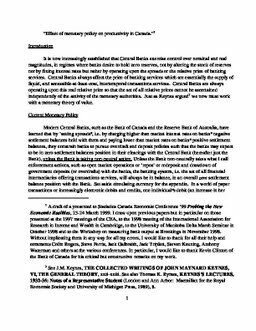 Carleton Economic Papers (CEP). Department of Economics.